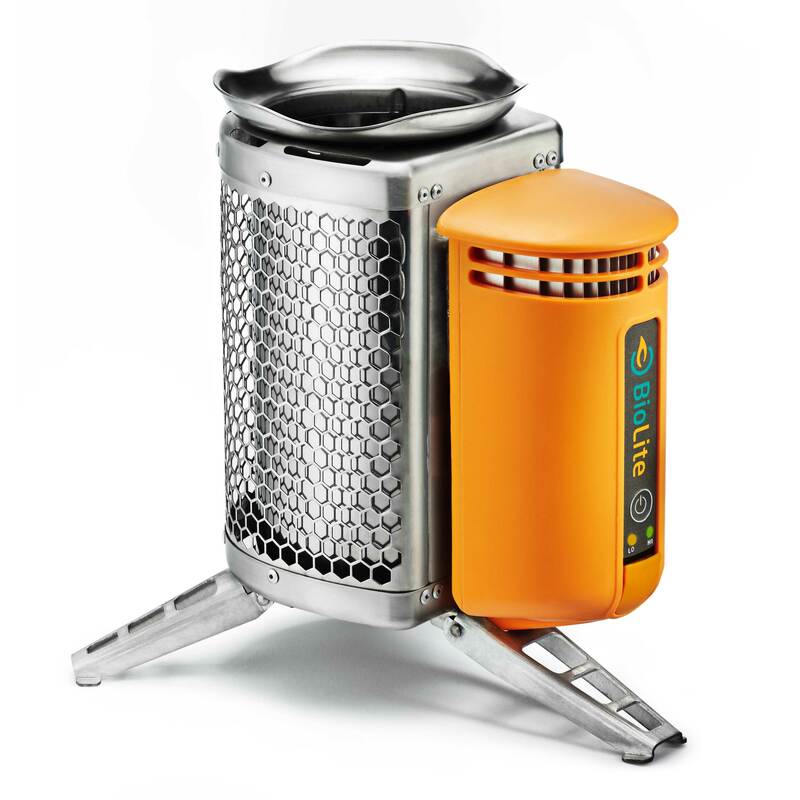 Burning only wood, the CampStove 1’s fan creates a smokeless fire that can cook meals and boil water in minutes while turning its heat into usable electricity. 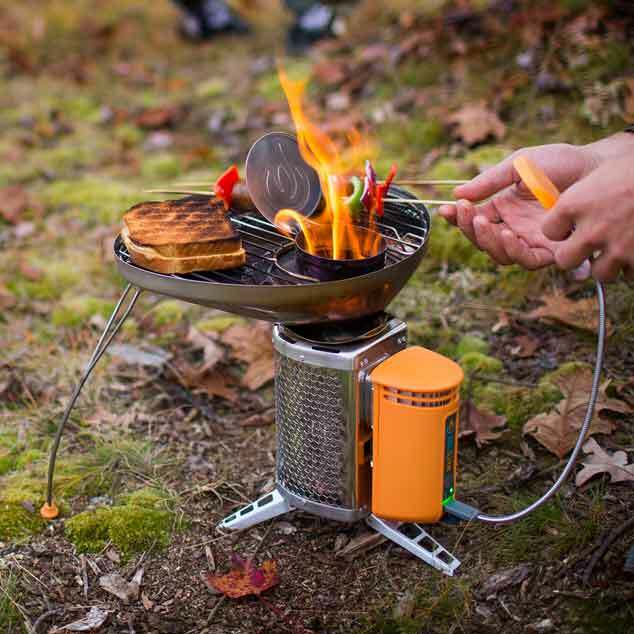 Compatible with the KettlePot and Portable Grill, cook up wood-fired meals and charge devices using only the sticks around you. Also included is a free Flexlight; a portable, pliable USB gooseneck for quick, controlled light. A portion of every sale gets re-invested into bringing clean cooking and energy to thousands of families across India and sub-Saharan Africa. Ultimate portability with maximum functionality: charge and light with a device that fits in your pocket. The anchor to the PowerLight Bundle. 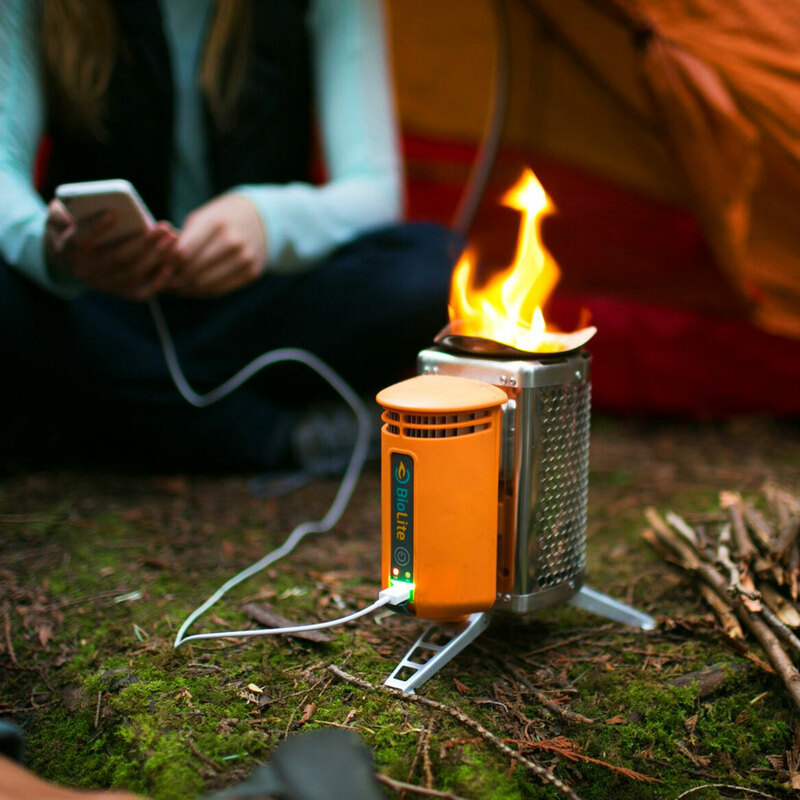 Warm, powerful lighting meets portable off-grid charging to create an energy hub in the palm of your hand. 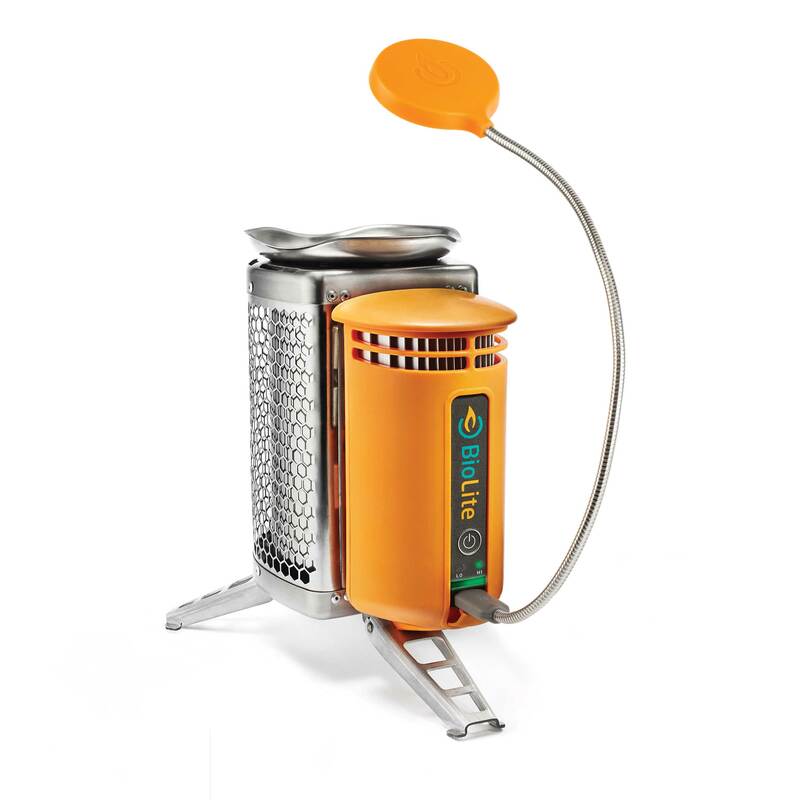 the award winning Biolite camp stove gets an upgrade. 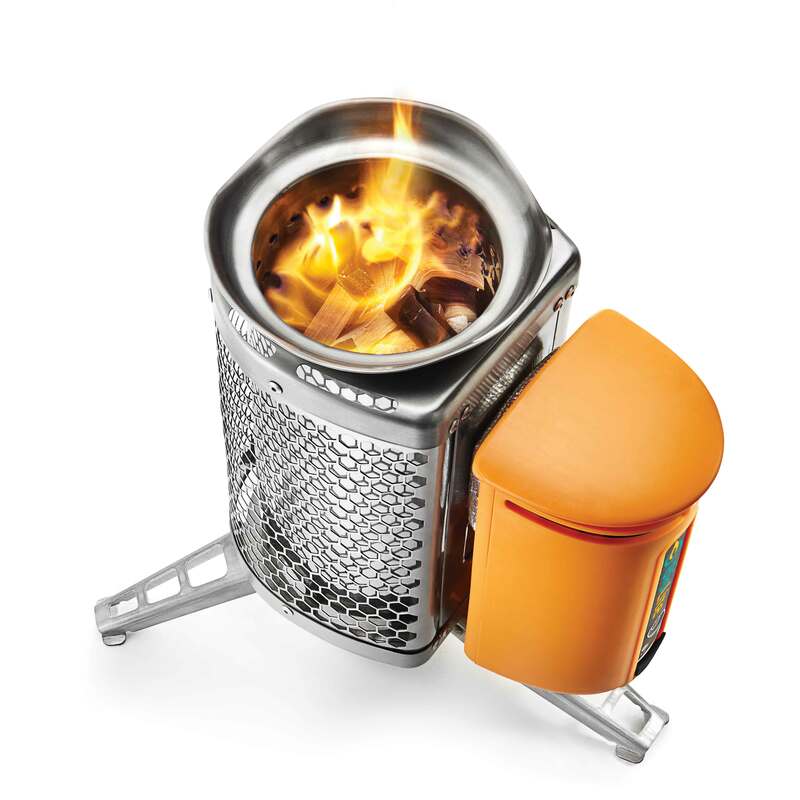 Burning only wood, the CampStove 2’s fan creates a smokeless fire that can cook meals and boil water in minutes while turning its heat into usable electricity. 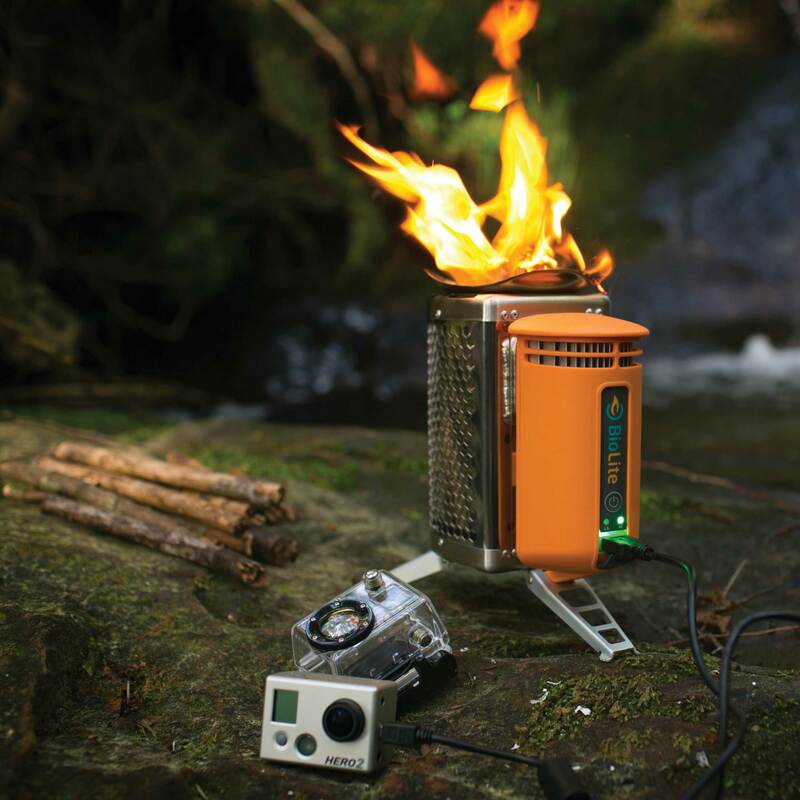 With an on-board battery any stored power can be used with or without the stove being in use. 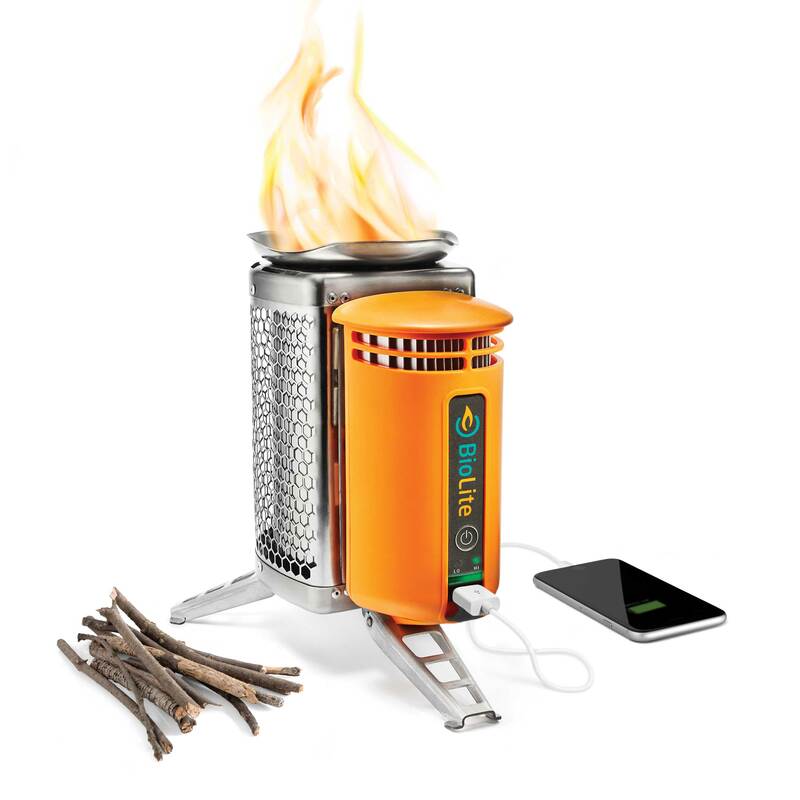 Compatible with the KettlePot and Portable Grill, cook up wood-fired meals and charge devices using only the sticks around you. 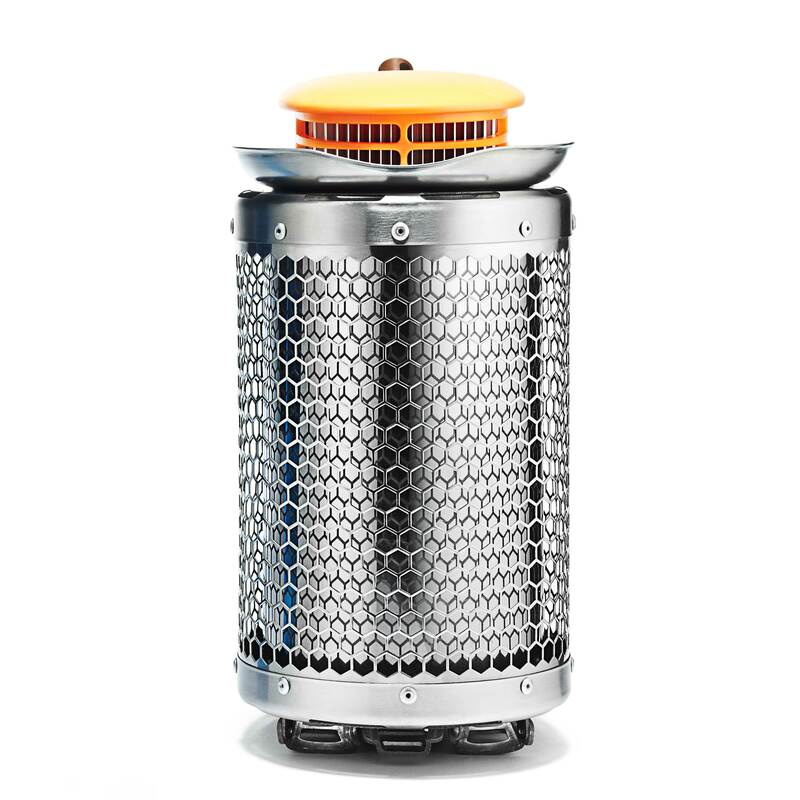 Watch the product video to see the stove in action. 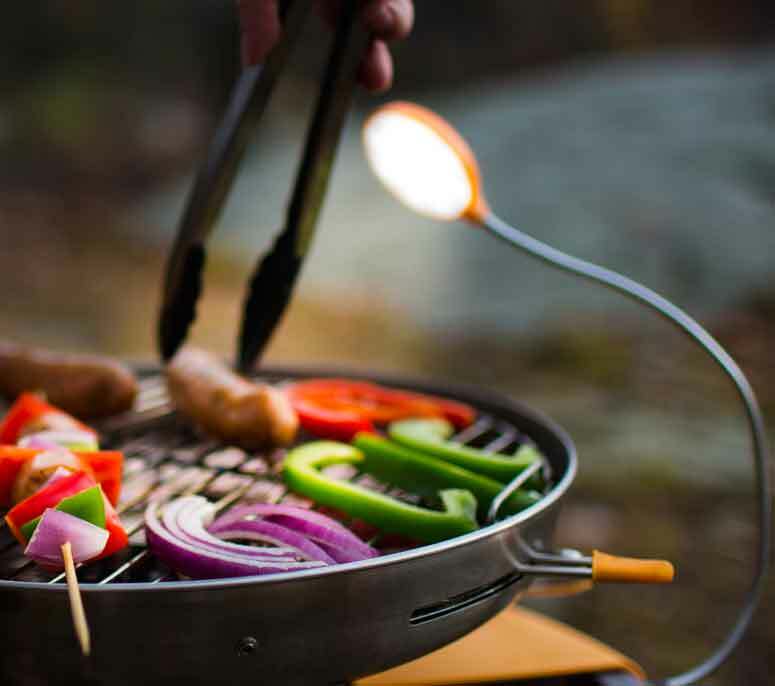 Features an ultrathin and durable stainless steel design to bring you power that crosses over from the backcountry to everyday carry. The silicone gasket makes the Charge 20 dunkproof, ready for spills or unexpected rain. The Charge 20’s 5200 mAh power supply can charge 2 full phones, lights, fitbits, or any other gear you need to keep your day going. Get the most from the sun with the lightweight & portable BioLite SolarPanel 5+. Featuring BioLite’s Optimal Sun System, an integrated sundial aligns you to the sun to capture direct rays while a 360 degree kickstand simplifies positioning on uneven terrain. The 2200mAh onboard battery stores energy for later, allowing you to charge devices when you need it most. Power phones, tablets, and BioLite gear with this ultraslim 5-Watt panel. Bring the stars a little closer with this constellation of lights, designed for easy, instant setup. Containing four lights per string, the SiteLight Mini can light pathways, campsites, and tents with 150 lumens of dimmable ambient light. 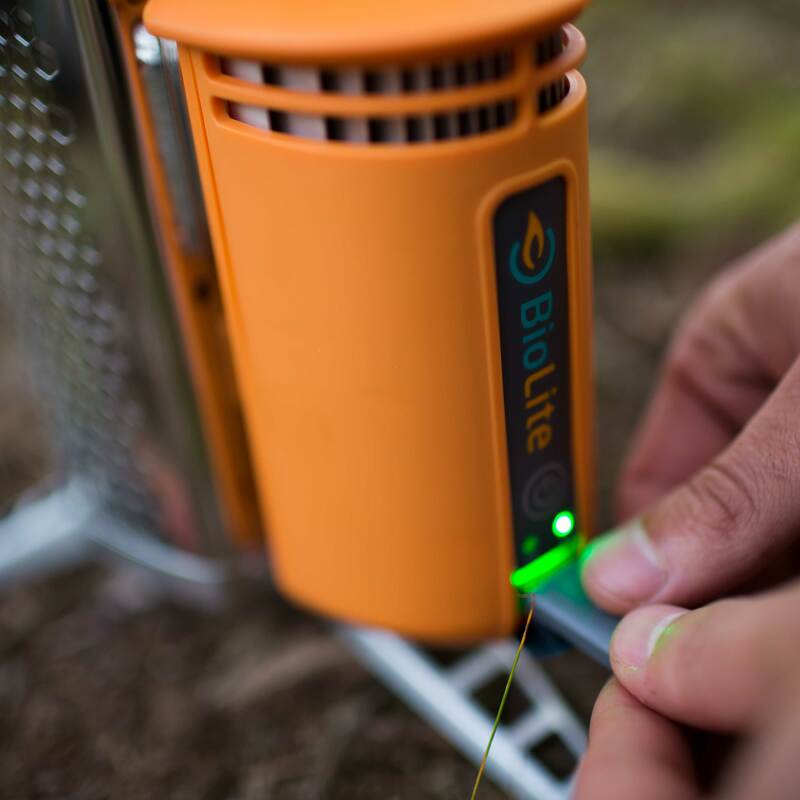 Set on 10 feet of cord and daisy-chainable, power it with the BioLite PowerLight or BaseLantern or any USB source with included adapter. These fantastic machines are made of forgotten vintage bicycle frames that just need a little bit of care and attention. Once that is added, they become fully functional again, like brand new. The frames originate in Japan and are then re-born, re-sprayed and up-cycled in Dubai. Great for getting around town or cruising along the beach. © 2019 One Good Thing. All rights reserved. Change the world with everything you buy.